There is a £50 Security Bond Deposit to pay on top of the holiday cost, which is non refundable if you cancel for any reason. Your security deposit will be refunded once the caravan has been checked to ensure there are no broken, damaged or missing items after your departure. The cost to replace any items will be deducted from your deposit. Refunds are normally actioned within 48 hours. 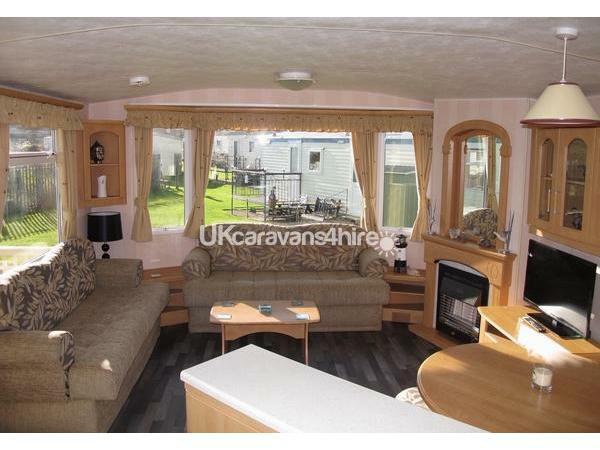 Please respect our property and leave the caravan in the clean and tidy condition it was on your arrival. This deposit also secures your chosen dates, the balance will be due to be paid 1 month prior to your holiday dates. 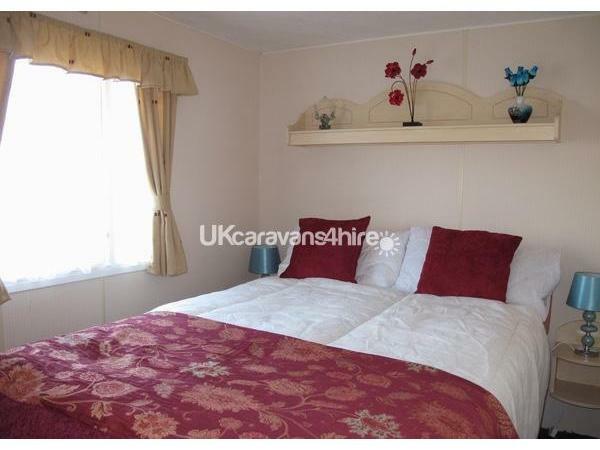 I will need to know how many Adults, Children & Dogs that are going to be staying in the caravan. Ages of the children if under 18 years of age. The keys are to be collected from the reception between 3pm - 4.30pm and handed in on your departure by 10am. 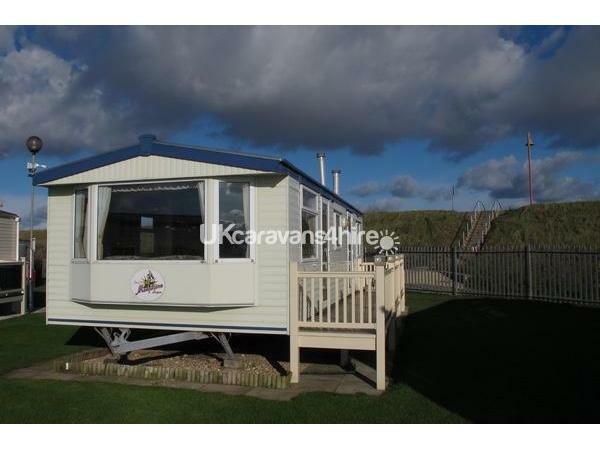 Our Atlas Moonstone Super 2 Bedroom Caravan has just been refurbished. 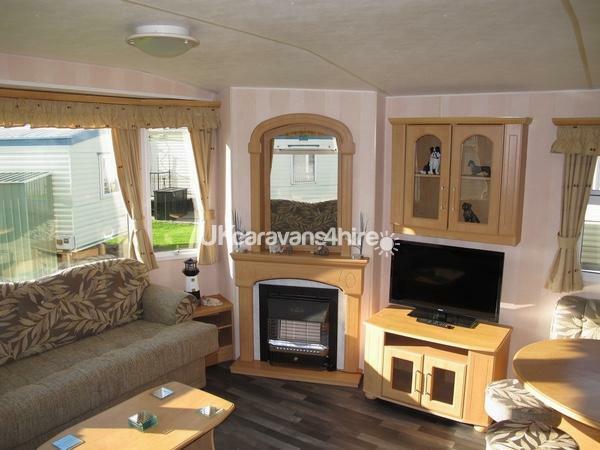 It has double glazing and warm air heating. 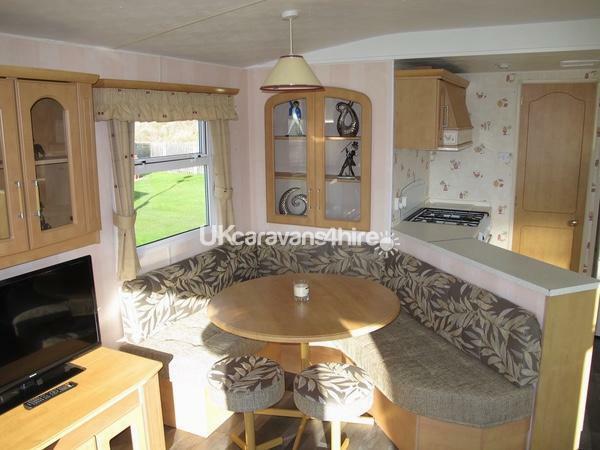 It has a large spacious open plan lounge area with a gas fire for those chillier evenings. 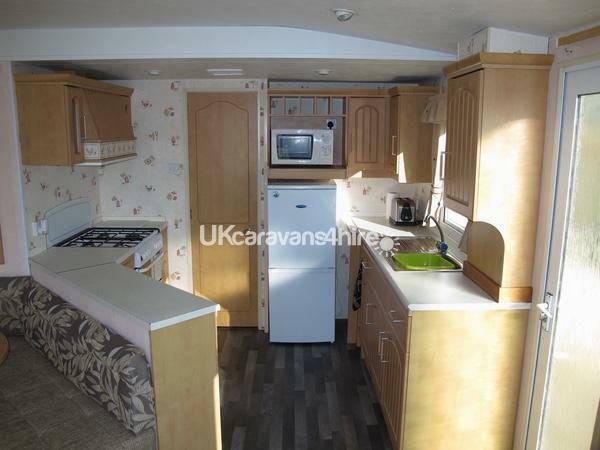 Dining area and kitchen, with fridge freezer, microwave, gas oven and hob, kettle & toaster. There is a child's high chair for your little one to use. 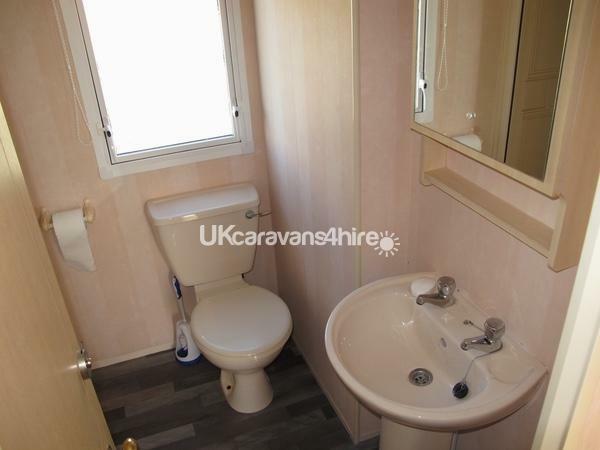 1 double bedroom with wardrobes, cupboards & mirror. A hair dryer is provided for your use. 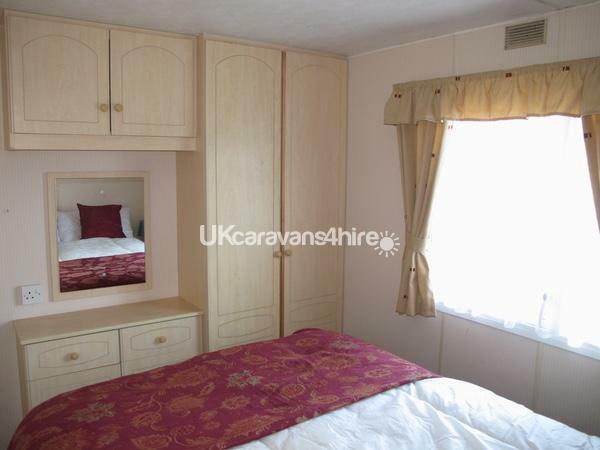 1 twin bedroom with wardrobe & mirror. There is a small double pull out bed in the lounge if needed. All duvets, pillows and throws are provided, with mattress & pillow protector covers, but please bring your own bottom sheets, pillowcases and duvet covers. 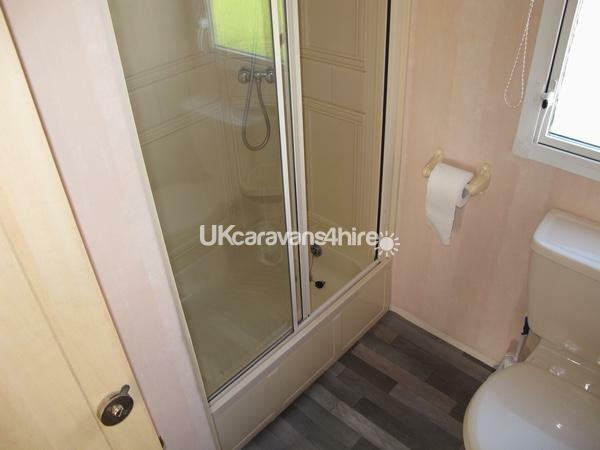 The shower room has a large shower with hand basin, W.C. Cupboard with mirror. Outside there is a full length veranda with a gate so is safe for little ones or dogs. Garden Furniture for your use. Free WiFi is available in the bar area only. 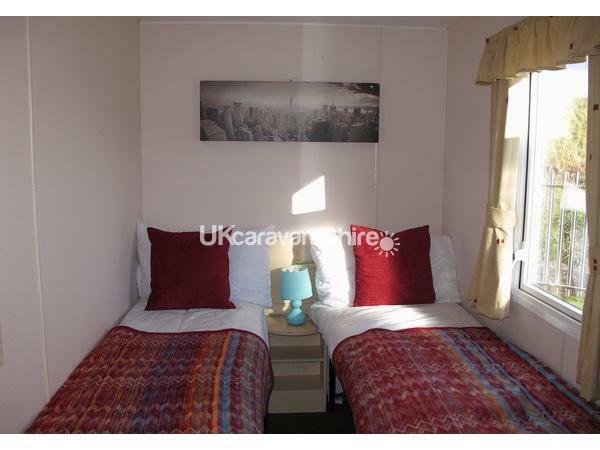 If you have 4G on your phone you can get it in the caravan. We allow up to 2 well behaved dogs but please do not allow them on the furniture. This is a No Smoking Caravan. Additional Info: Reception, Bar, Restaurant with entertainment. Arcade & Launderette.